Sliding door is fully lockable, with a central 3 point locking system. Ideal for when office space is at a premium, with little door opening leeway needed. Robust welded steel reinforced frame for heavy duty environments. Powder coated frame is both smart and scratch resistant. 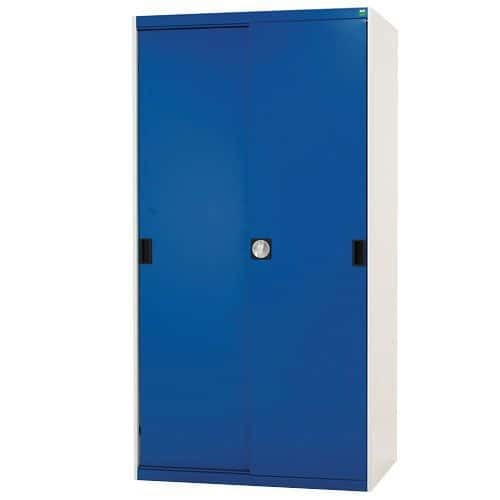 Sturdy Bott cabinet with 2 space-saving sliding doors and 3 galvanised steel shelves 1600x1050mm.